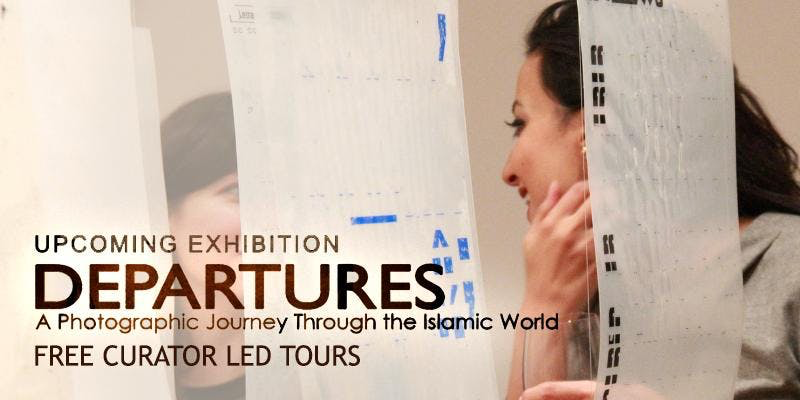 Join curator Richard Wilding in a unique and bespoke tour of Asia House Barakat Trust exhibition Departures: A Photographic Journey Through the Islamic World (12 April – 3 May 2019). Tours run on Wednesdays and Saturdays at 12 am, they are free but RSVP is required. The exhibition tour will reveal a showcase that demonstrates the great diversity of the Islamic world’s social and cultural life. The exhibition will explore a geographical area from Morocco in the West to China in the East, and from the Balkans in the North to Sudan in the South. Historical photographs from the mid 19th century to the mid 20th century will be shown alongside a selection of contemporary images from amateur photographers on Instagram. This event is part of the series Converging Paths, a year-long series of events curated for 2019, and organised in partnership by Asia House and The Barakat Trust. With this series we aim to engage audiences in challenging cultural misconceptions about the Islamic world, building bridges between communities and highlighting the importance of the arts of that region. We aim to provide wider access, combining digital platforms and curated cultural programmes that appeal to adults and families. Click here to see other events in the Converging Paths series. Sign up to Asia House mailing list and The Barakat Trust mailing list for all the latest on this year’s events, and visit our Eventbrite profile to book more tickets!